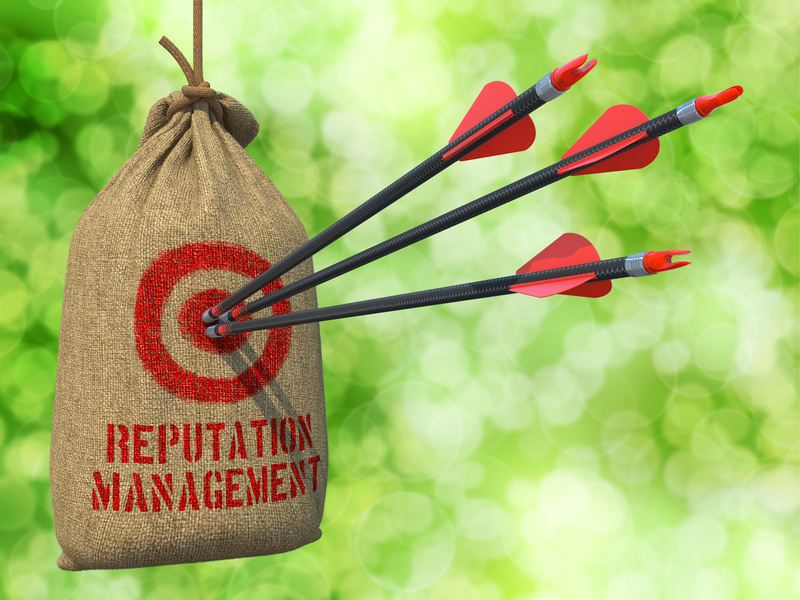 Reputation management is such an important part of a brand’s social media and online presence. What happens when a company receives a negative review, or a review that is downright damaging? How they choose to respond or ignore the situation can have lasting effects on their brand persona. Let’s look at a situation that unfolded with FedEx as a brief example of how to respond in crisis management. FedEx used social media, including Twitter, a blog, and YouTube video to apologize and respond to the YouTube video of their employee knowingly damaging a customer’s property. They apologized, sincerely, for the actions of their employee, stating that it was unacceptable. FedEx’s sincere response to this crisis helped folks see FedEx’s conviction over this incident and their commitment to customer satisfaction. Do your research. What was the situation on site that caused the negative review? Get as much detail as you can, so you can best address your customer’s concerns with facts and not just automated-sounding responses or platitudes. Don’t put your head in the sand. Ignoring a bad review or bad press usually only makes people think you either don’t know, which is bad, or don’t care, which is worse. While there may be a company policy to keep matters private, you should not ignore the need to correct the record or apologize, depending on the situation. A great example of what not to do can be seen in the recent situation Conn’s had with the Times. Apologize, sincerely, if needed. Don’t apologize if the customer’s complaints aren’t a result of your company’s wrong-doing, but still make sure you acknowledge and address the negative review or complaint. If possible, turn the negative review into a chance to highlight your company’s strengths. Be honest. Don’t create a fake account to praise your company online. Not only is it unethical, if you do get caught, you’ll have an even worse PR situation on your hands. 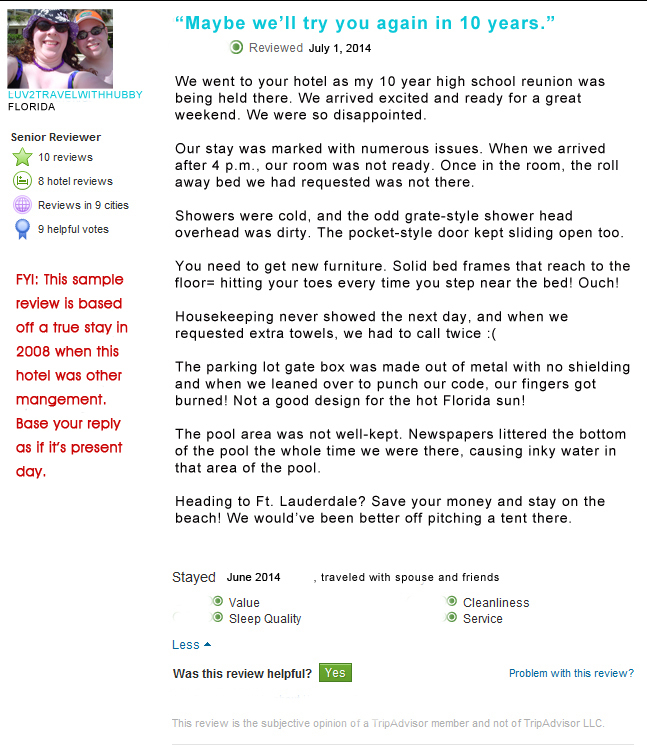 For educational purposes, let’s take a look at some sample reviews of hotels, and I’ll share how I would respond. Note: I am not affiliated in any way with TripAdvser, Hilton or Hyatt Hotels. This exercise is purely for the purposes of education. At Hilton we do our best to listen to and address our customers’ concerns. We appreciate you bringing this to our attention. Please accept our sincere apology for what you encountered during your recent stay. We have contacted this location’s manager, and they are working closely with their staff to make sure this does not happen again. Please contact us in a private message, so we can continue this conversation directly with you. 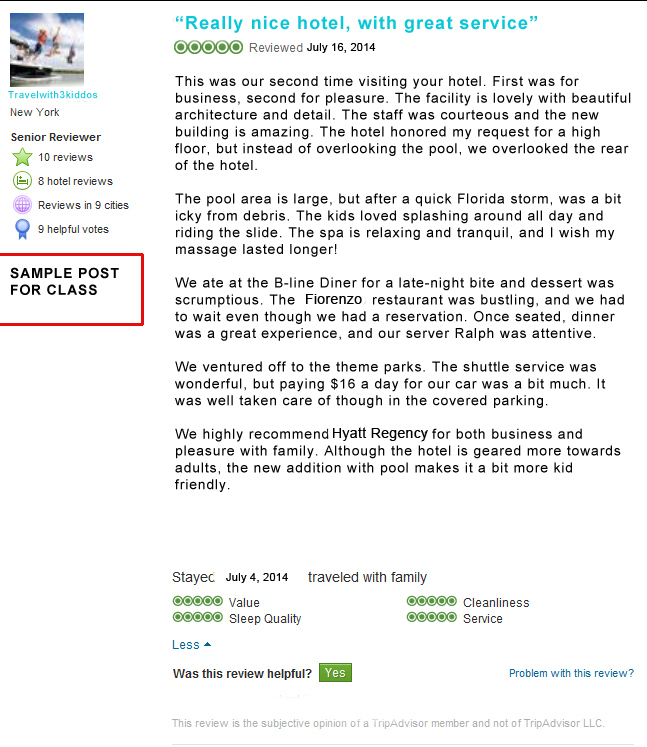 We appreciate you taking the time to review the Hyatt Regency Orlando! Repeat guests, such as yourself, make up more than half of our business. During your next stay, we hope you’ll try our new Napa Breakfast Buffet where kids 0-3 eat FREE and kids 4-10 eat for the price of their age! Our staff is committed to creating the best possible environment for our guests during their stay. Thank you for highlighting Ralph from one of our restaurants, Fiorenzo Italian Steakhouse. We will pass along your praise to his manager.